This home has sold but please check out our other homes for sale! 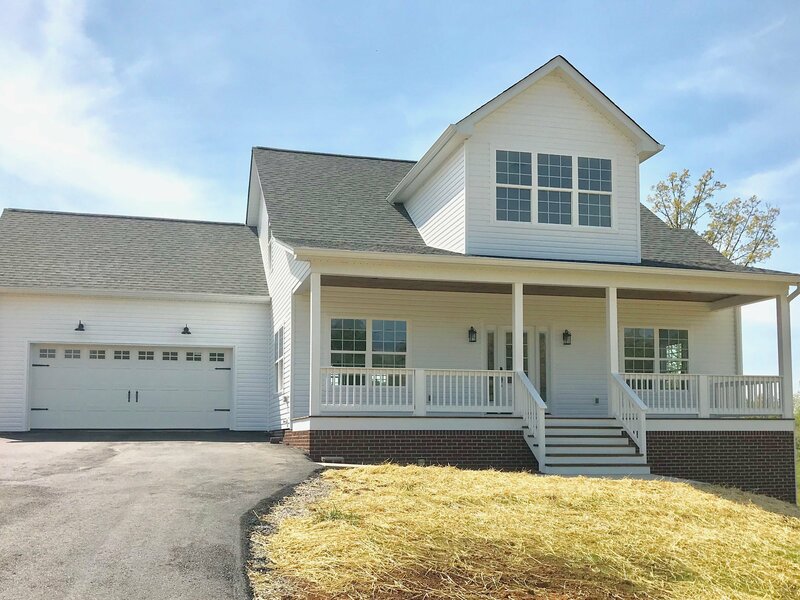 This new farmhouse boasts 2187 square feet, 3 bedrooms, 2.5 baths, and a BONUS ROOM. The kitchen has granite counter tops, an over-sized island, breakfast bar, huge pantry, and lots of charm. The master bedroom, located downstairs, has a large walk-in closet and en suite bathroom which has a double vanity, walk-in shower, bathtub, and toilet closet. Upstairs are two bedrooms, a bathroom with a double vanity, and bonus room with access to tons of storage over the garage. Located in The Meadows Subdivision convenient to Hwy. 111 and just 15 minutes to Cookeville. A great place to call home. My favorite thing about this house is the huge southern front porch (LOVE) and tons of storage (SO much storage!). Please call us, text us, or email us with any questions. We would love to show it to you!